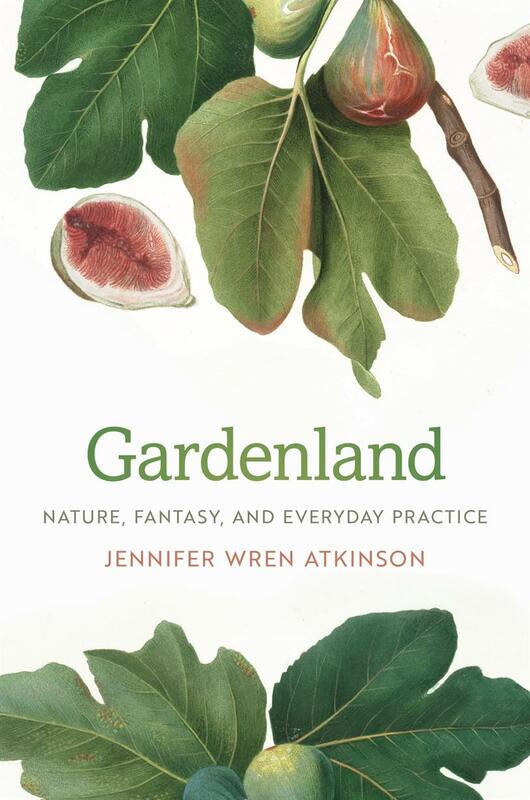 Tuesday, Nov. 13, 2018, 4 – 5:30 p.m.
Join IAS faculty member, Jennifer Atkinson for her presentation of Gardenland: Nature, Fantasy and Everyday Practice, with an interview conducted by colleague Amy Lambert. Garden writing is not just a place to find advice about roses and rutabagas; it also contains hidden histories of desire, hope and frustration, and tells a story about how Americans have invested grand fantasies in the common soil of everyday life. Gardenland chronicles the development of this genre across key moments in American literature and history, from nineteenth-century industrialization and urbanization to the twentieth-century rise of factory farming and environmental advocacy to contemporary debates about public space, social justice – even the future of humanity’s place on earth. In exploring the hidden landscape of desire in American gardens, Gardenland examines literary fiction, horticultural publications and environmental writing, including works by Charles Dudley Warner, Henry David Thoreau, Willa Cather, Jamaica Kincaid, John McPhee, Leslie Marmon Silko and more. Ultimately, Gardenland asks what the past century and a half of garden writing might tell us about our current social and ecological moment – and offers surprising insight into our changing views about the natural world, along with realms that may otherwise seem remote from the world of leeks and hollyhocks.